Gadarene blend obscure traditional English tunes, virtuoso acoustic musicians, funky beats and loads of energy. 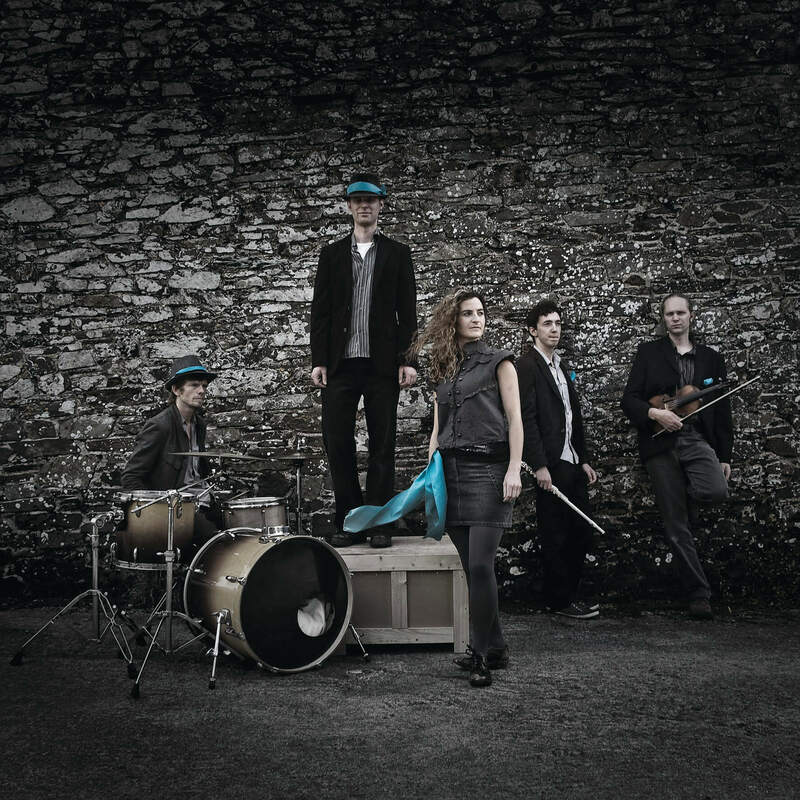 The five-piece play drums, mandolin, double bass, fiddle and flute, their musicianship and effects units transforming obscure English 18th and 19th-century tunes into numbers from intricate acoustic trance to alternative modern dance hits. Drawing on styles from pop and rock to electronic and dub, the band’s pioneering attitude to folk brings glorious old tunes to life. The set features Lancashire clog and Dartmoor step dance, and gets audiences up dancing too! These amazing old tunes are all miniature masterpieces and deserve the exposure. Some of the tunes have not been played for 300 years and it’s brilliant to see audiences enjoying them so much.